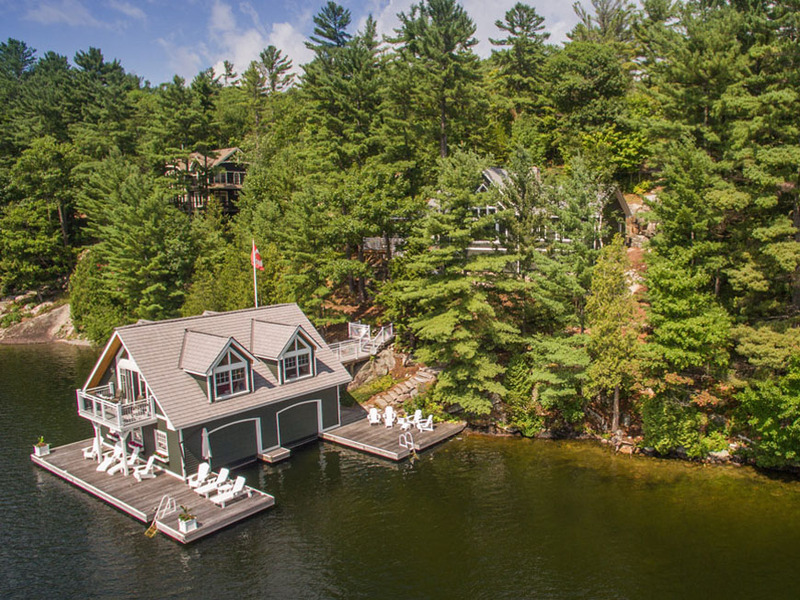 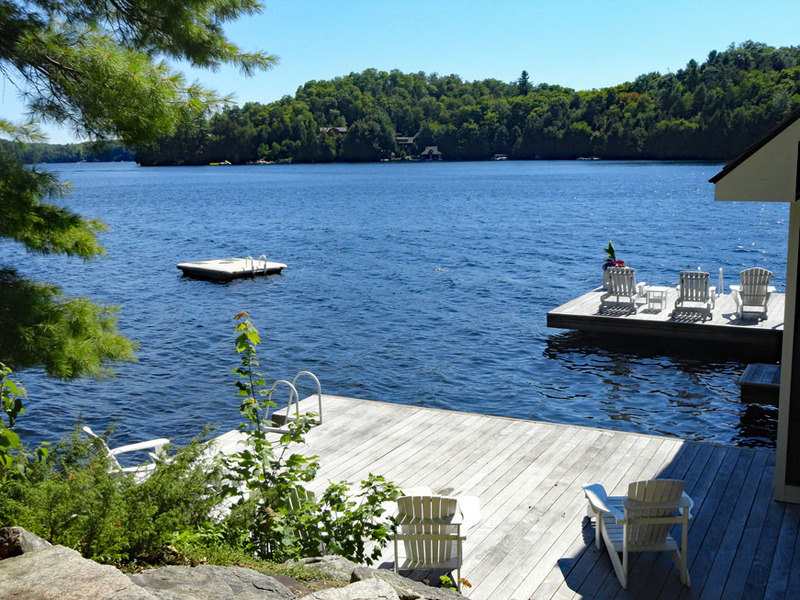 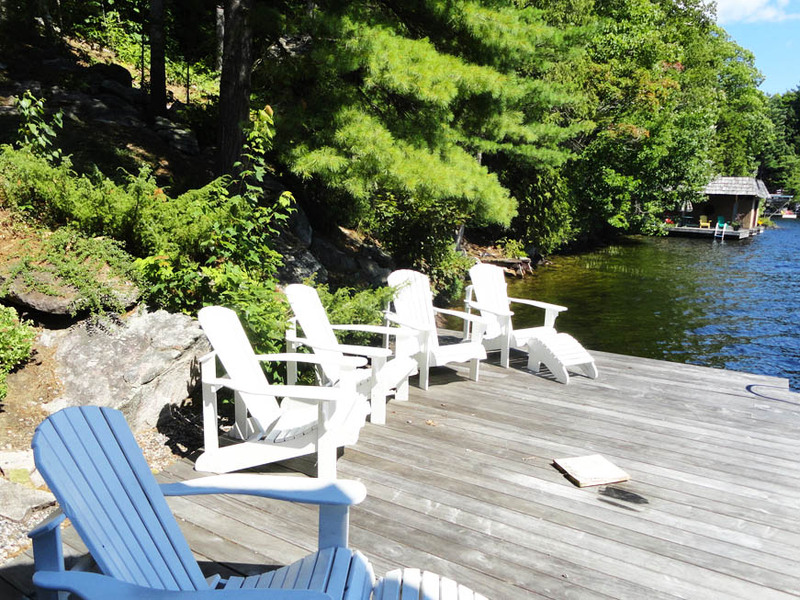 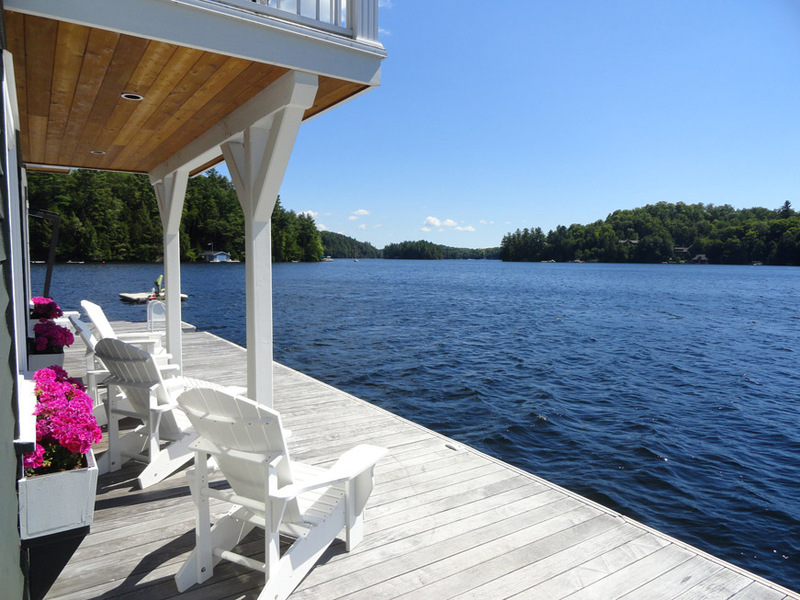 This wonderful Lake Rosseau property offers premium south west exposure, a stunning cottage with countless upgrades, and a gorgeous 2-storey boathouse with a dreamlike guest suite. 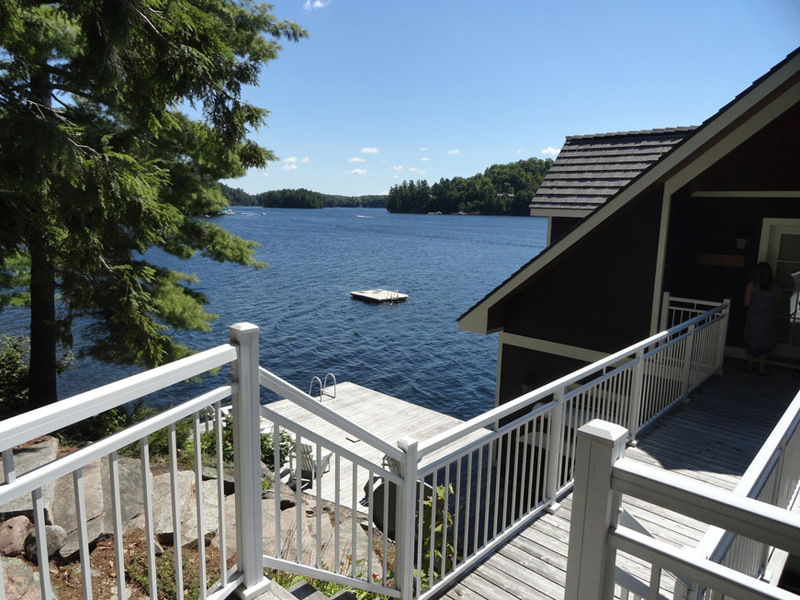 Set on land adorned with the finest landscaping, this handsome cottage was constructed and recently remodelled using high-quality, long-lasting, low maintenance materials including an enviroshake roof and IPE docks. 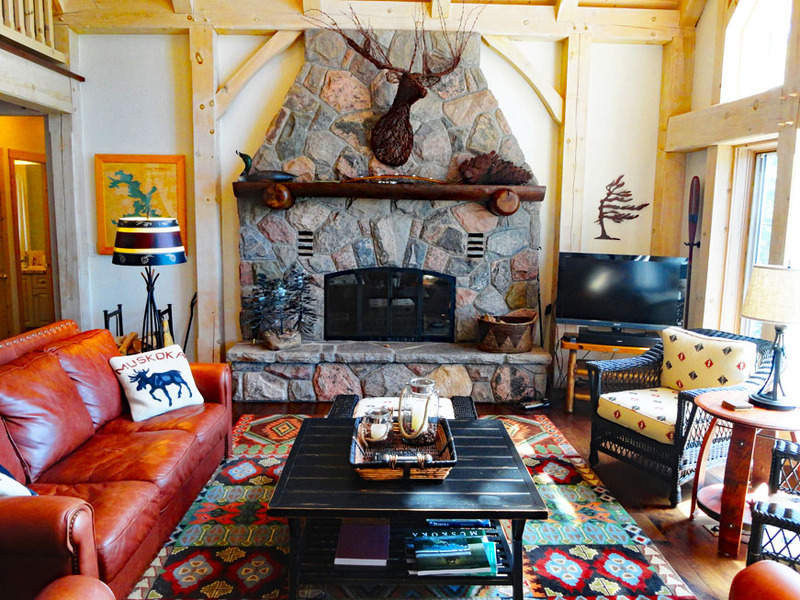 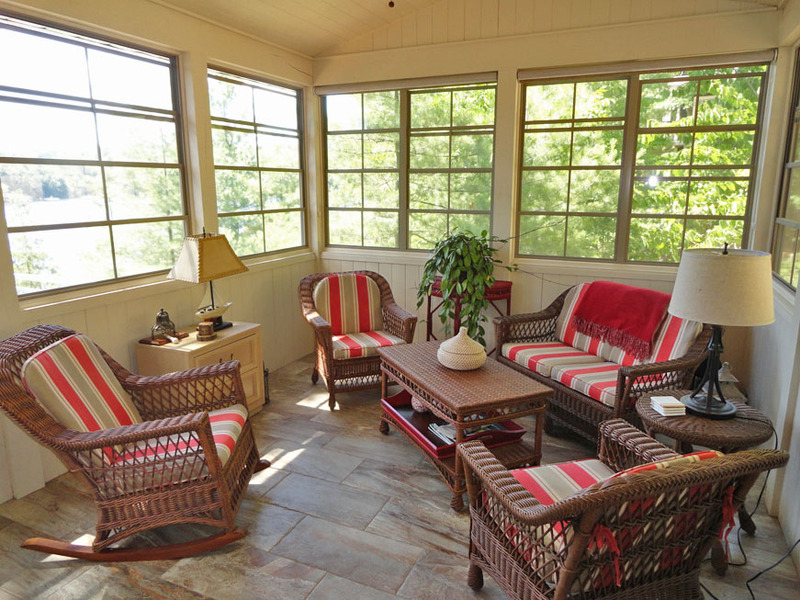 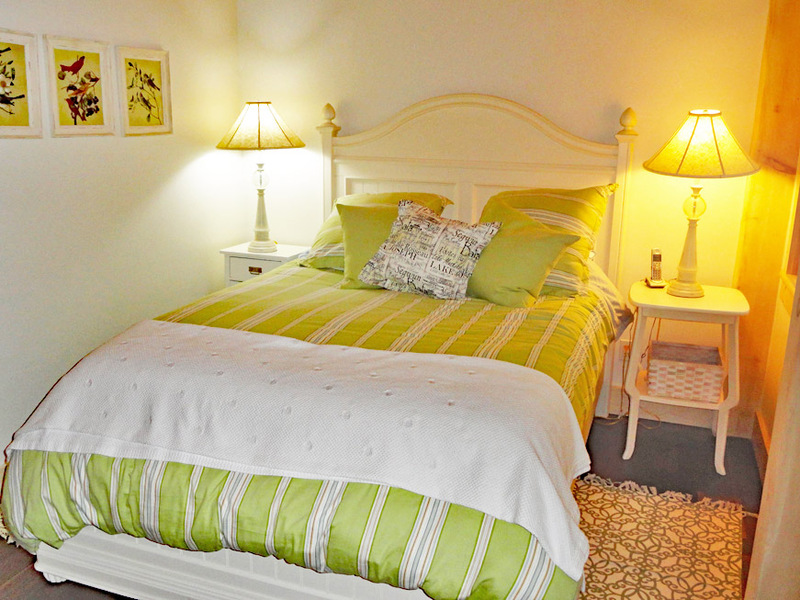 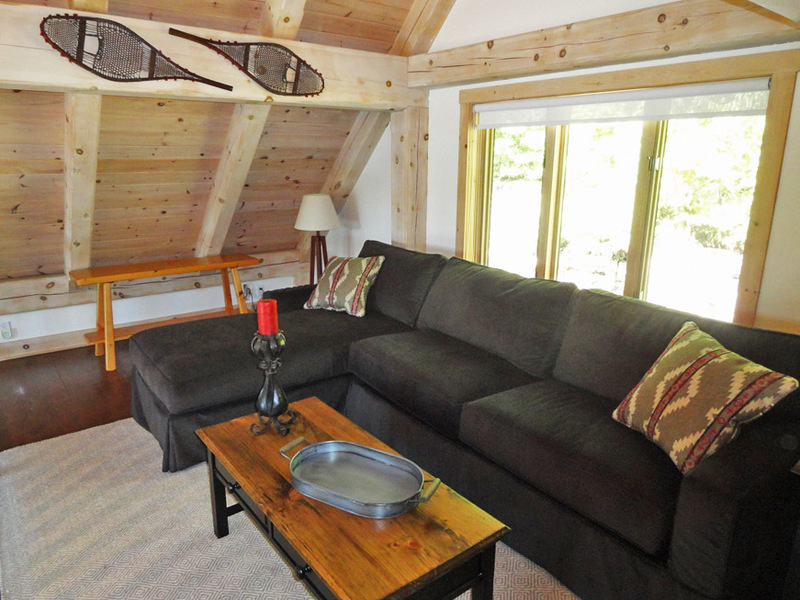 It is beautifully finished and exudes an inviting combination of contemporary luxury and authentic cottage charm. 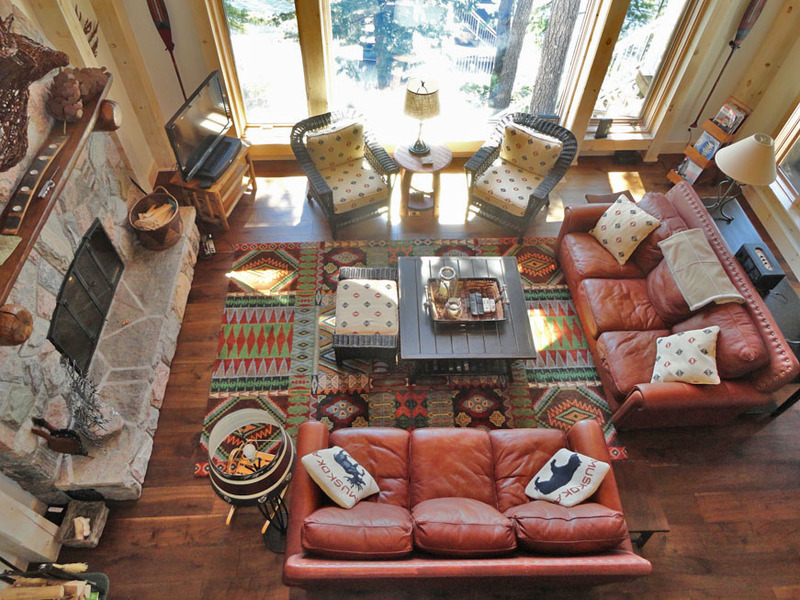 The open-concept main living area provides the perfect layout for entertaining. 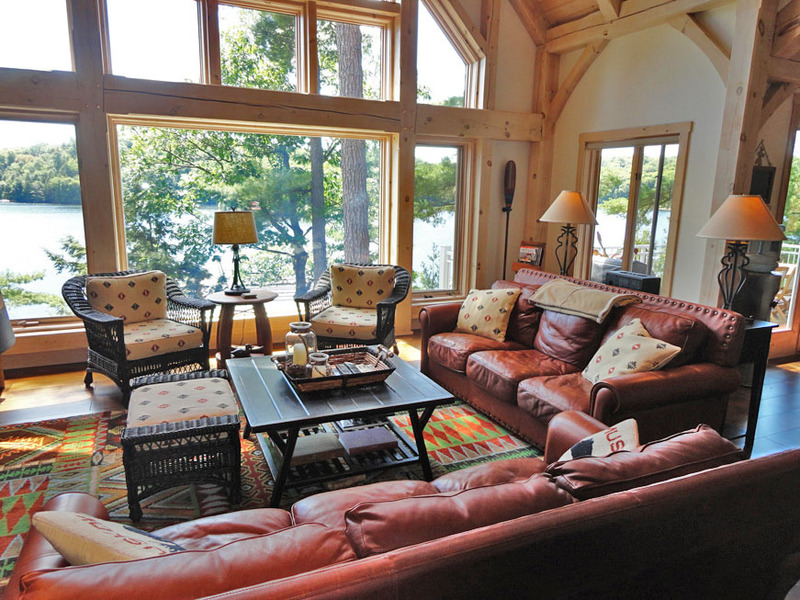 High-end finishings include wide plank hardwood and stone tile flooring, vaulted ceilings accented with exposed wood beams, a towering granite fireplace, and walls of windows framing magnificent lake views. 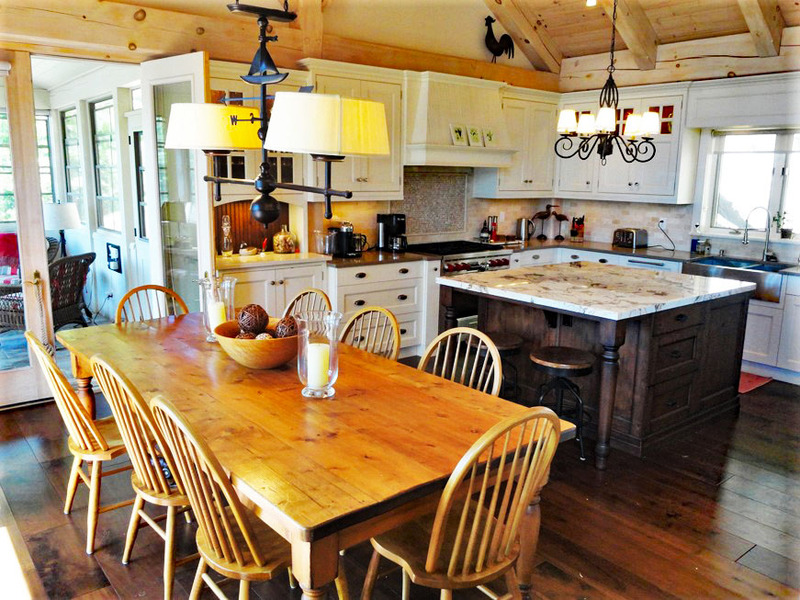 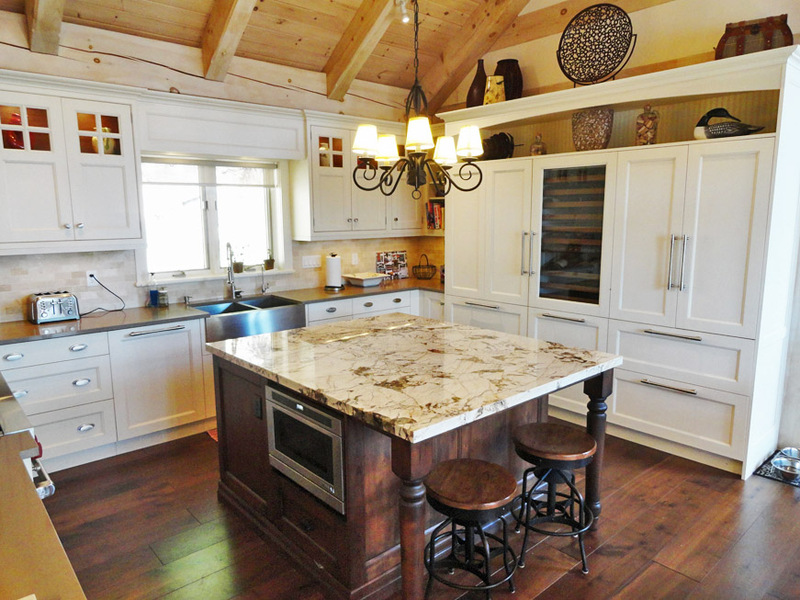 The spectacular, newly redesigned kitchen was featured in Muskoka Life magazine and is equipped with a plethora of bells and whistles, including a 6-burner Wolf range, integrated appliances, wine cooler, and a spacious island with bar seating. 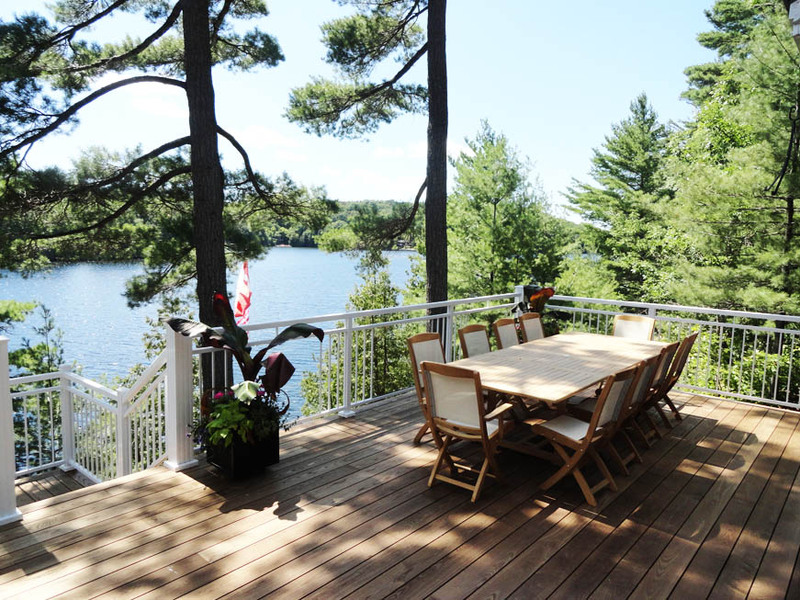 The incredible new front deck and the 3-season Muskoka room both feature awe-inspiring lake views and can be accessed through walkouts from the spacious dining area. 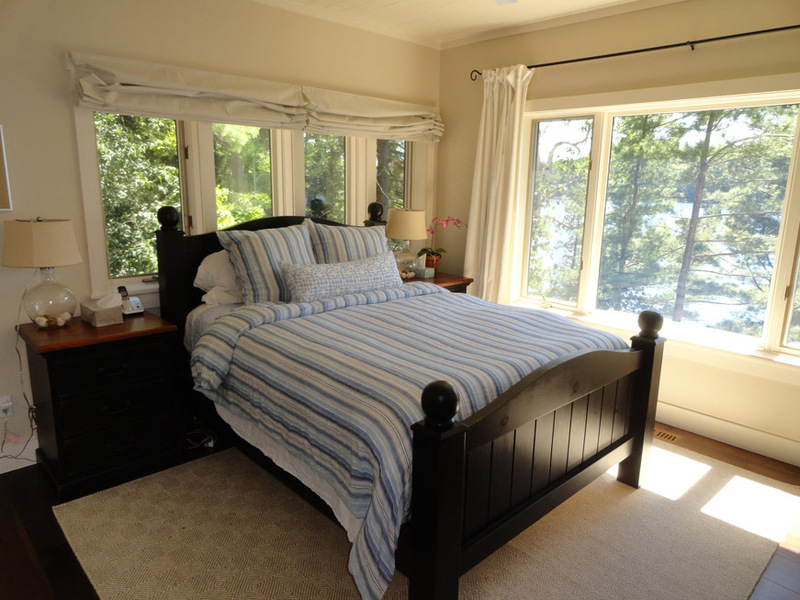 The serene master bedroom offers massive windows on two sides with enticing views and a renovated ensuite bathroom. 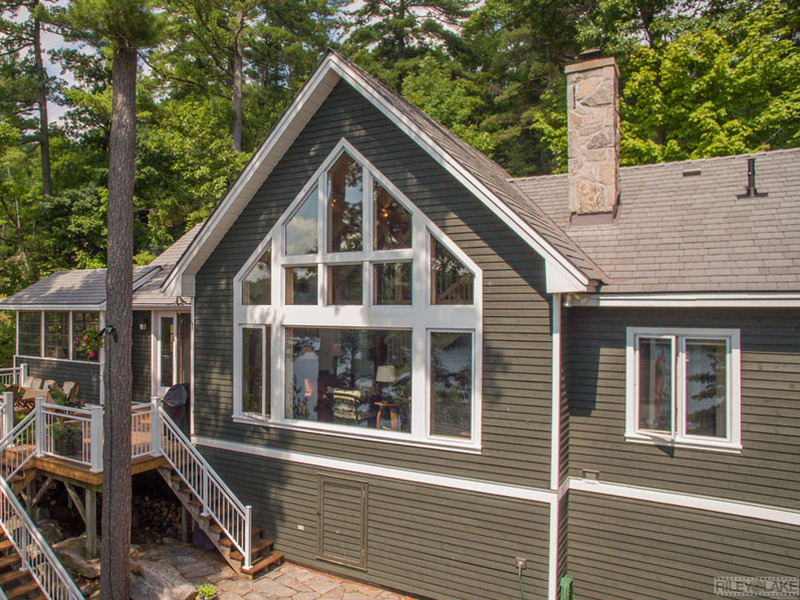 Two other spacious bedrooms share the updated four-piece main bathroom and have windows that look out to classic Muskoka granite outcroppings. 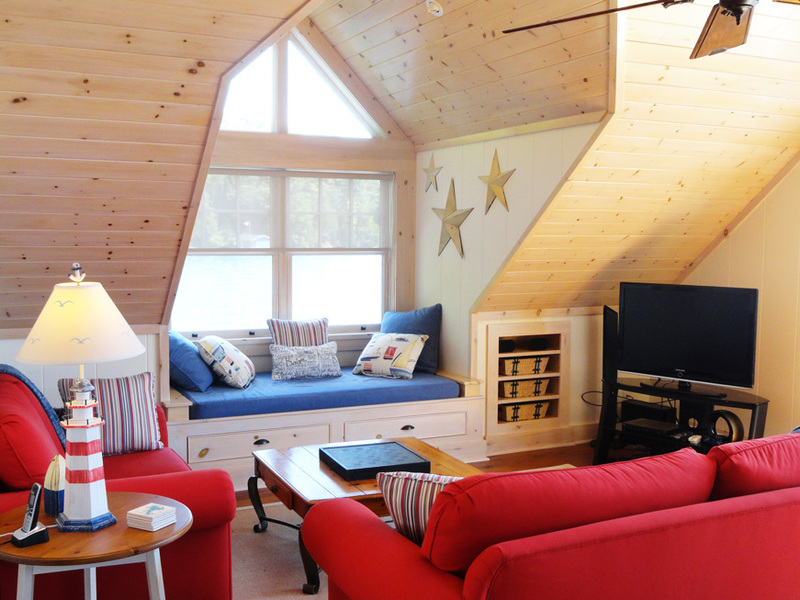 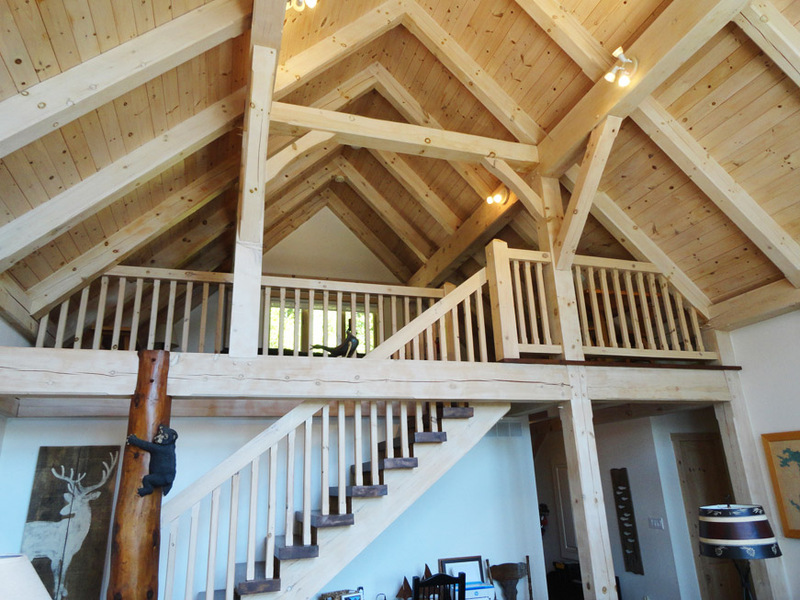 The upper level loft area enjoys a beautiful lake view and offers an abundance of potential for a 4th bedroom, second family room, TV area, kids’ play room, or office space. 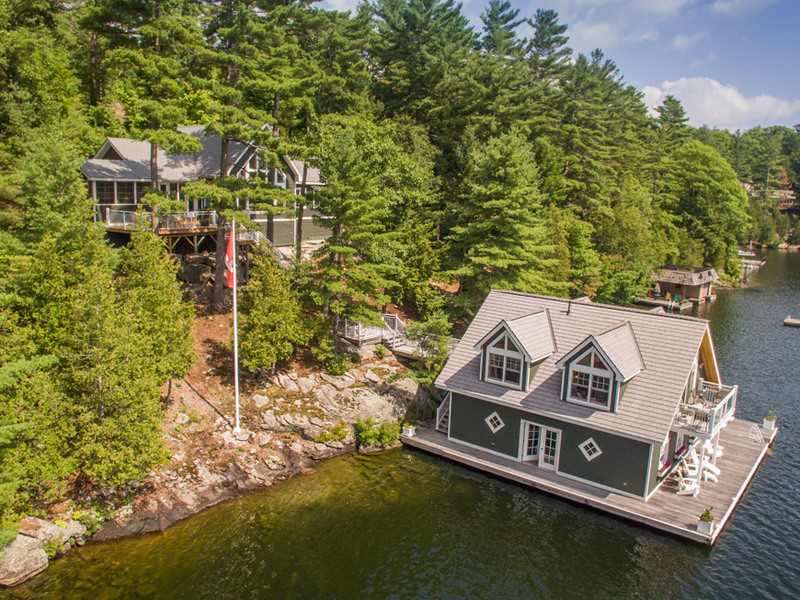 Massive flagstone sections form steps and granite pathways which embellish the property, creating an appealing approach to the cottage from the paved drive and an elegant route down to the boathouse. 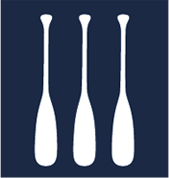 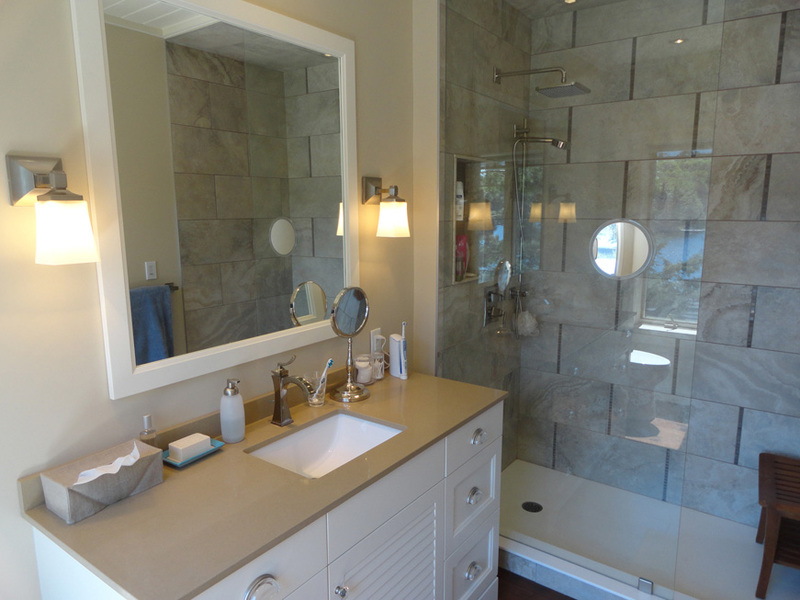 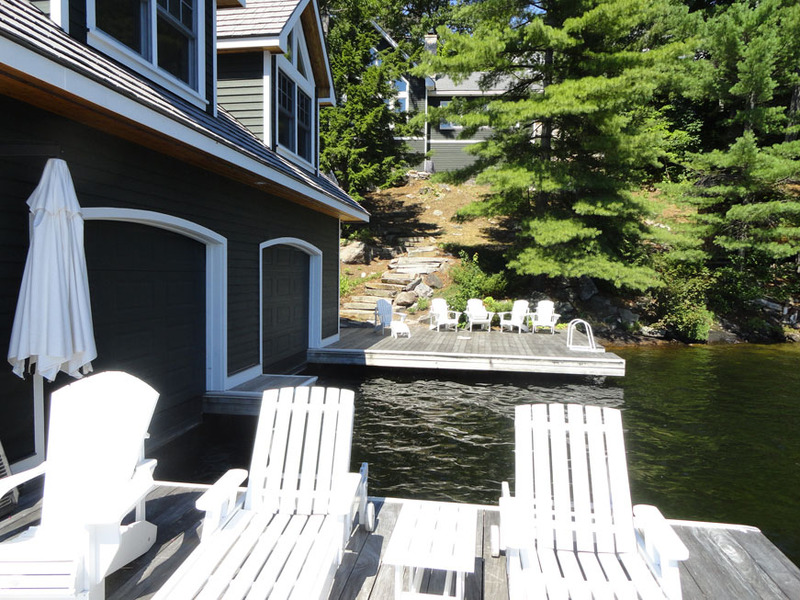 The lower level of the boathouse is attractively finished and offers two large interior boat slips, each with an electric boat lift and power doors. 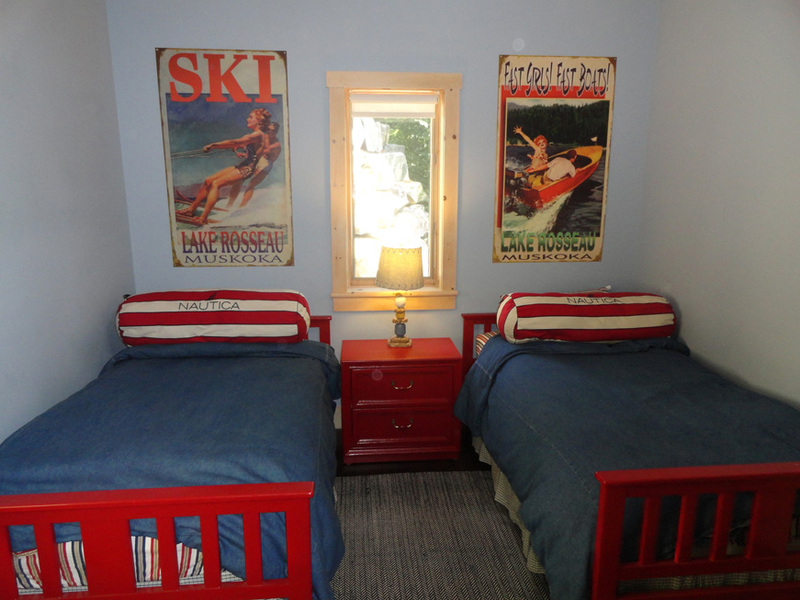 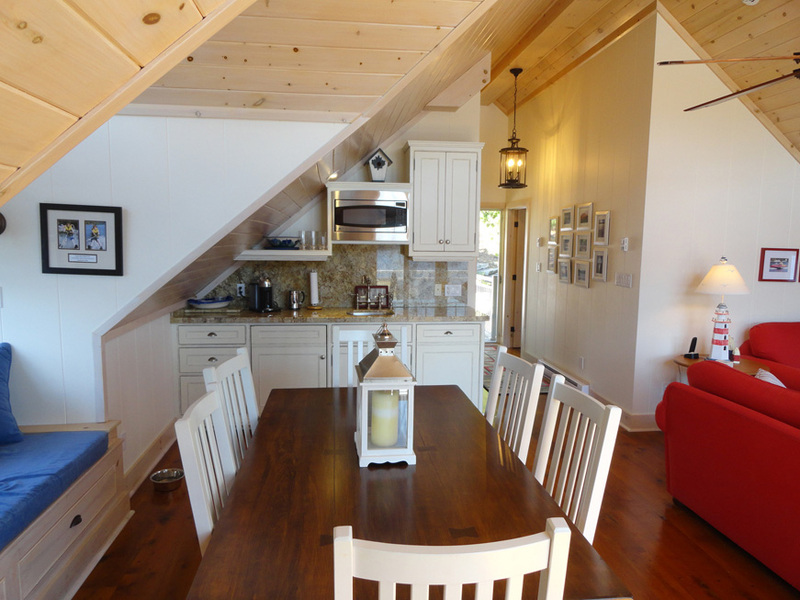 The accommodation on the upper level features large open-concept living and dining areas with a kitchenette complete with a built-in fridge, microwave, and dishwasher, French doors to a private balcony above the lake, and a full bathroom. 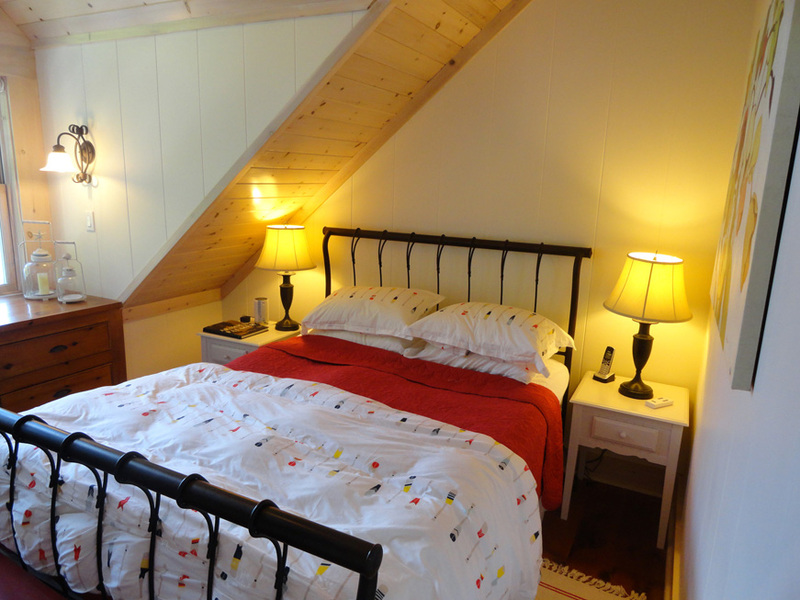 This inviting guest suite is perfect for a family as it offers a large bedroom plus two dormer alcoves which are not only excellent reading nooks but also are large enough to provide additional sleeping spaces. 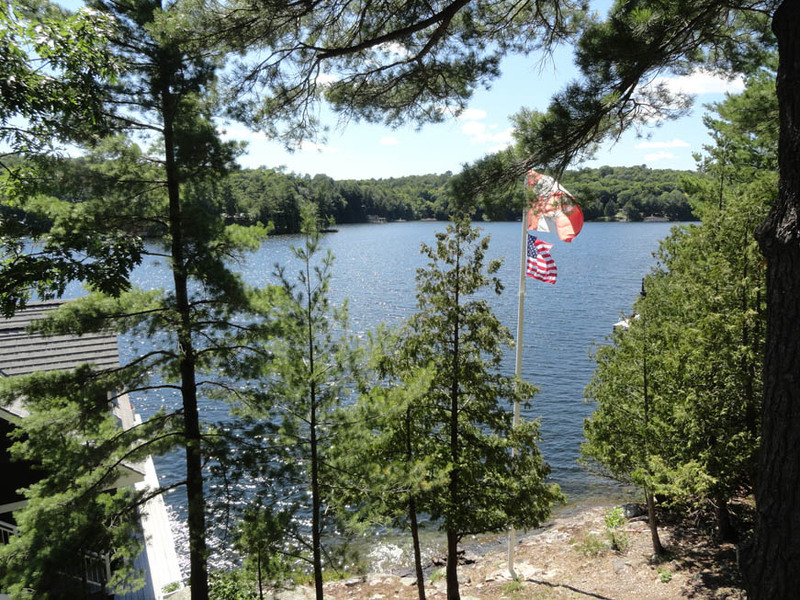 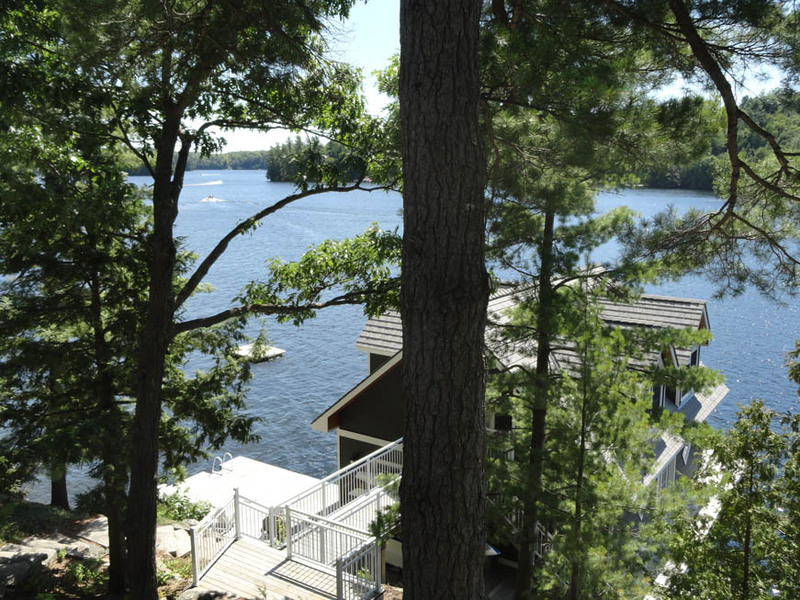 With its prestigious Lake Rosseau location off the main boating channel, south west exposure, all day sunshine, wonderful views, and its stylish, move-in ready, meticulously maintained cottage and boathouse, this package is fully complete and not to be missed!